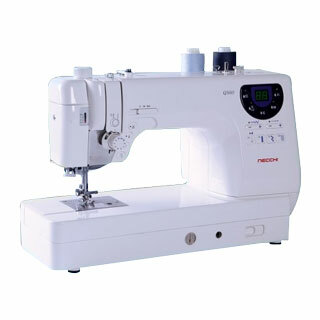 Our Necchi line features a broad line of models ranging from basic straight stitch and zig-zag models to computerized sewing and embroidery machines. The Consew line of commercial machines includes models designed for leather working, upholstery and many specialty needs. 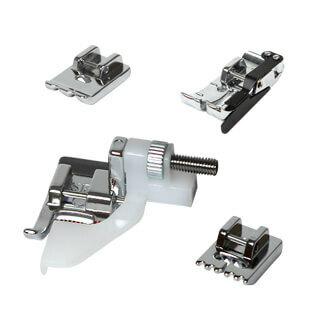 Our trained sales personnel learn about your sewing needs and demonstrate machines that meet your needs. We also sell refurbished sewing machines that are ideal for young sewers. Credit for trade-ins is offered toward the purchase of new machines. Our Horn sewing cabinets are great complements that enhance the functionality of sewing machines while providing safe storage. Cabinets are available to fit all makes and models. Necchi machines can be picked up at our store or shipped to your home. Consew machines and Horn cabinets can either be picked up at our store or set up at your location by our technicians. Needles, bobbins and presser feet are stocked for many makes. We also carry many frequently used parts and offer to order those that we do not stock. These items can be picked up from our store or shipped to your location.